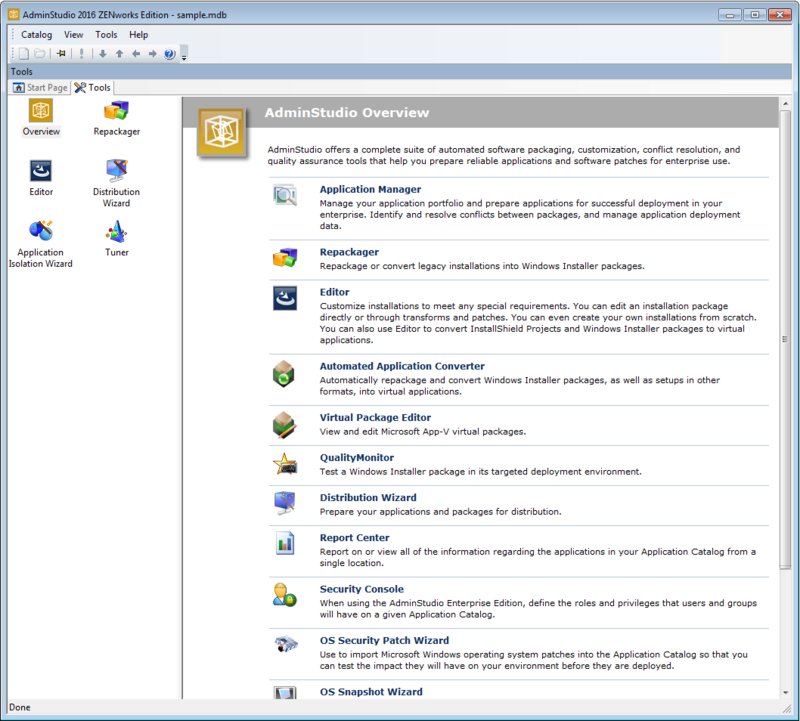 AdminStudio 2018 ZENworks Edition is a customized version of Flexera Software AdminStudio 2018 Standard Edition that integrates with ZENworks to help you create, manage, and distribute Windows software bundles. 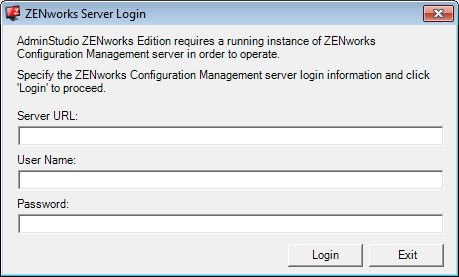 You receive a license for AdminStudio ZENworks Edition when you purchase ZENworks Configuration Management. 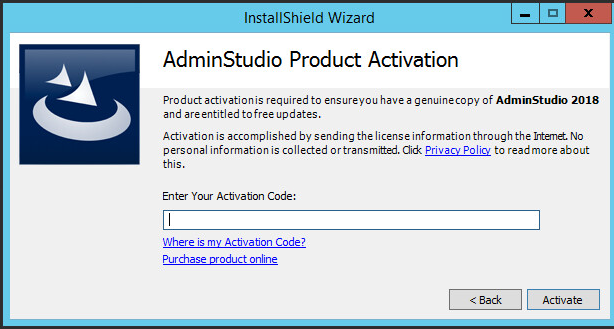 Launch the AdminStudio2018ZENworks.exe file to extract the installation files and display the Welcome screen. 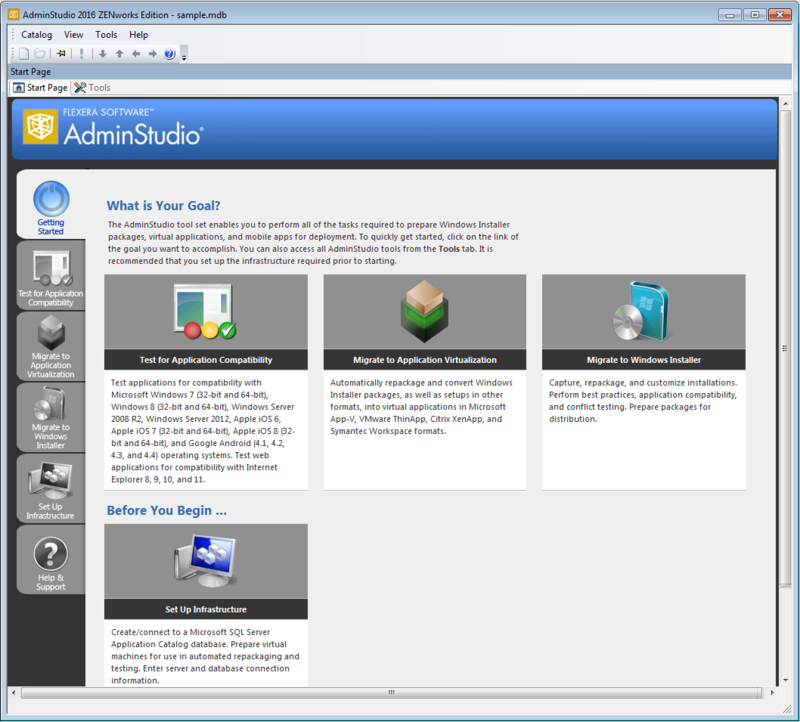 Click the Start menu > All Programs > AdminStudio > AdminStudio 2018 to launch AdminStudio and display the AdminStudio dialog box. 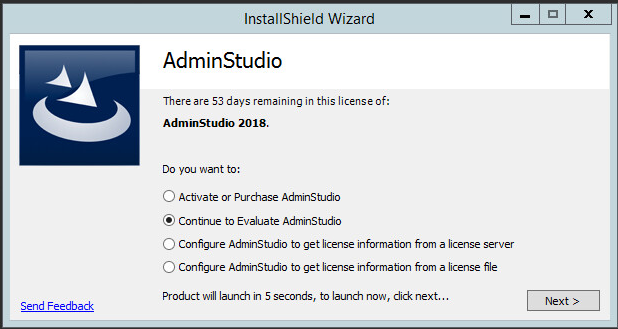 Note: If you are updating from a previous version of AdminStudio, you must enter your new AdminStudio 2018 ZENworks Edition license key. Software Updates: AdminStudio ZENworks Edition updates are distributed by Novell. 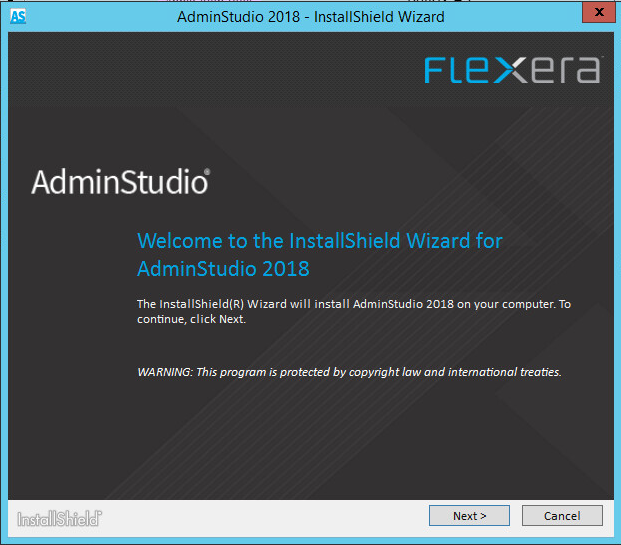 Neither the AdminStudio 2018 Software Manager nor the InstallShield 2018 Software Manager provided by Flexera Software is used to update the AdminStudio software.